Questions about Kichler Lighting 42114SRM? 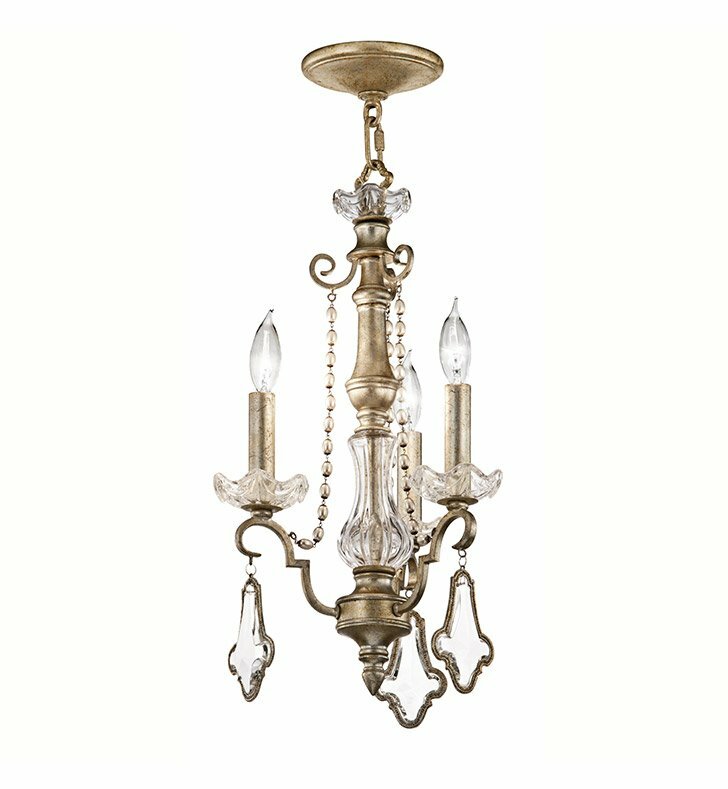 This European-inspired convertible fixture (Can used as a chain drop or semi-flush) from the Gracie collection offers a touch of shabby chic. Our Sunrise Mist finish combines both silver and gold leafing to dramatic effect. Hanging K9 Optical Crystals, outlined in a decorative metal trim, adorn each level, and pearl bead details give the fixture an authentic, free-flowing style. For additional chain, order 2996SRM. Dimensions: H 95 3/4" x W 13"